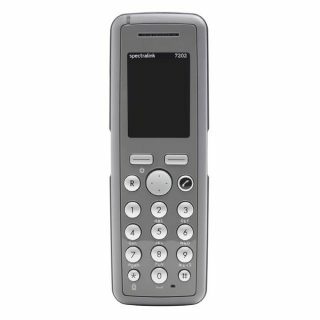 Digital Electronic Cordless Telephone (DECT) Systems have the flexibility to provide wireless extensions to virtually any phone system by simple connection to analogue extensions. Our DECT Wireless Servers include integrated DECT radio base stations and expanded radio coverage is obtained via wireless repeater stations. 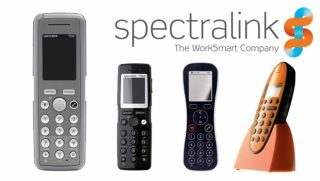 For virtually any work environment, our range of wireless handsets includes models designed to withstand the harshest work environments, with resistance to shock, water and dust. An intrinsically safe handset is even available for areas at risk of explosion. Additionally, users are able to summons assistance by simply pressing the integrated alarm button of selected handsets. Covering almost any application, our DECT Systems provide not only wireless voice communications, they also interface to most messaging applications enabling the delivery of text messages to the wireless handsets from applications such as Nurse Call systems, Fire Panels, Process Control Systems and LAN messaging systems. Achieving the bulk of coverage with wireless repeaters ensures that our systems are simple and easy to install. As no telephone cabling to repeaters is required, modifying the coverage area is as simple as moving the repeater from one power point to another. Long sites can be accommodated by linking up repeaters in a ‘multi-jump’ arrangement. If fitted with an optional external antenna, a repeater can be located up to one (1) kilometre (line of sight) from the main base or the repeater it is logged on to, extending coverage to include remote buildings or sites across roads. Designed specifically to carry wireless voice, DECT is currently the technology most capable of meeting the very high expectations of users who are serious about their onsite communications. Users expect a consistently high level of voice quality of service (QoS), particularly with calls to external customers or in critical applications such as healthcare or manufacturing control. DECT is a stable technology that has proven its ability to deliver high quality voice to tens of thousands of sites around the world. Larger sites require multiple radio base stations to ensure radio coverage wherever mobile workers may be. This may include store rooms, canteens, loading docks and outside smoking areas typically not covered by other wireless systems such as a wireless LAN. DECT supports the seamless handover of calls on the move between radio base stations, enabling full mobility around a site. System performance cannot be compromised by interference from other technologies sharing the frequency band or by system load. Unlike other wireless systems, DECT operates in its own frequency band so it does not suffer from interference from other equipment operating in the same band. This also means that the DECT system will not interfere with data transmissions being carried on a wireless LAN. Users demand that equipment should be based on uniform standards so that they are not locked into costly proprietary systems. DECT is an international standard accepted in over 100 countries, with interoperability between equipment from all compliant vendors. Expectations are that the wireless network should be totally secure. DECT is able to deliver a secure solution, with encryption of calls to prevent eavesdropping. DECT systems text messaging capability means the system provides much more functionality than just wireless voice communications. By interfacing with an almost unlimited choice of paging, Nurse Call, Alarm and LAN-based messaging systems, our DECT solutions provide the platform for a truly integrated wireless solution to suit virtually all industry applications. 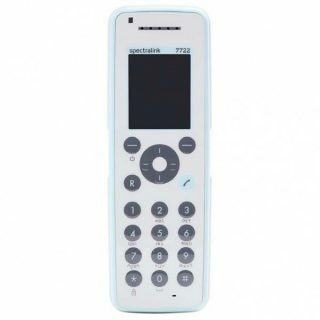 Text messages can be sent to individuals or groups of handsets for presentation on the handset’s LCD display. Handsets store messages in memory. Our DECT solutions connect to Nurse Call systems either directly or via additional hardware or software interfaces. Call points, patient alarms, EWIS systems, fire panels and duress devices can all be integrated to generate messages for dispatch to handsets, pagers, display boards or audible alarms. Solutions are available for a variety of sites, from small Nursing Homes and Aged Care Facilities through to large retirement villages, private and public hospitals. Whether it is on the production line, in the factory office or in the warehouse, combining voice and messaging ensures that communication is not only timely and cost effective but can also improve the occupational health and safety of employees. By linking to process control alarms, warnings regarding production line problems such as over-temperature can be dispatched and acted upon immediately often preventing costly plant shut downs. Hotels, motels, clubs, pubs, function venues and conference centres can improve productivity and customer service by integrating their onsite paging system with DECT. Messages may be generated from a single PC at reception, multiple PCs on a LAN around the site, security alarms (including duress devices), fire panels or gaming systems. From IT support staff through to key managers, integrated wireless voice and messaging aids in cutting down on finding people who may spend a large part of their day away from their desks. Fire warden groups may be automatically notified of emergencies, ensuring evacuations are performed as quickly and safely as possible. With messaging software installed, any PC user on a LAN is able to send messages to a wireless user or groups of users. Notification of the arrival of new e-mails helps ensure a speedy response. So give Comtel Technologies a call or send an email enquiry outlining your requirement and let Comtel Technologies help make your life that little bit easier.